Austrian rabbi; born at Prague about 1754; died April 27, 1832, at Lieben, near Prague. For nearly forty years he was district rabbi of Kaurzim, with residence at Lieben. 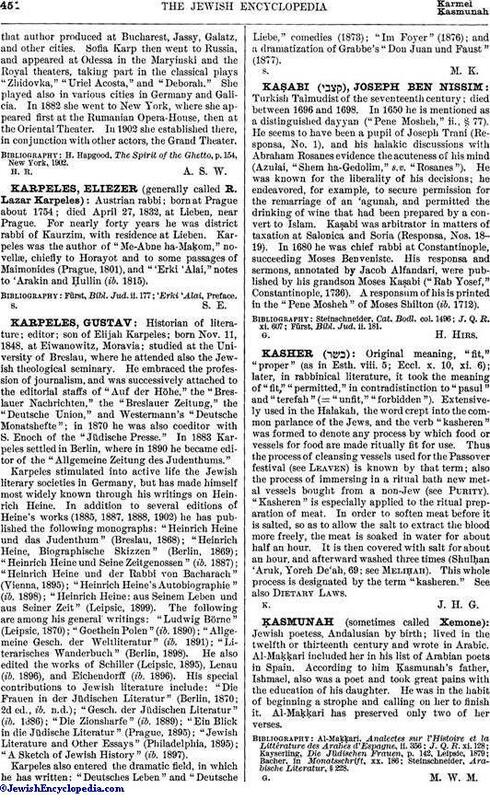 Karpeles was the author of "Me-Abne ha-Maḳom," novellæ, chiefly to Horayot and to some passages of Maimonides (Prague, 1801), and " 'Erki 'Alai," notes to 'Arakin and Ḥullin (ib. 1815).